Clean for the Queen – support your village ……………………………..
Come along and help clean up the village, bring your children your parents and anyone who is willing to get involved. 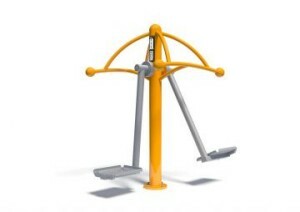 All equipment will be provided and refreshments will also be available in the chapel before and afterwards. The minutes from the finance meeting held on 22 February have now been published. 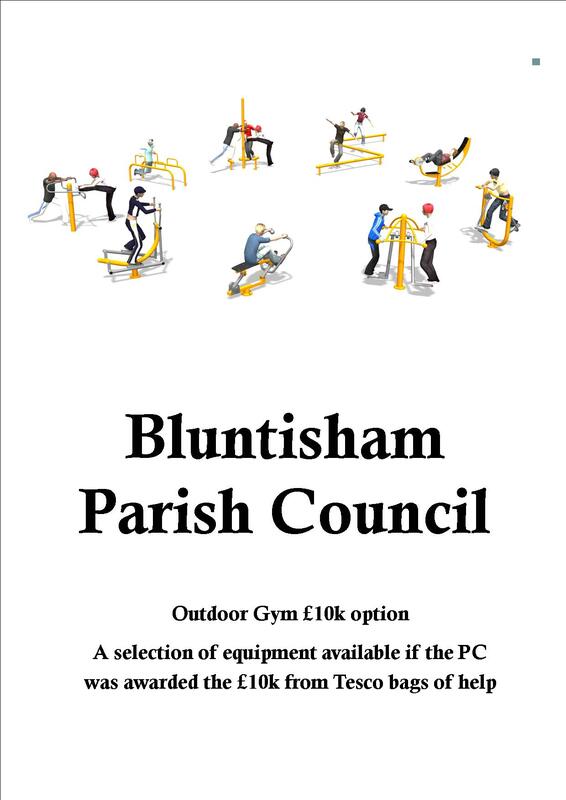 In October last year Bluntisham Parish Council submitted a bid to Tesco for grant funding for the proposed Outdoor Gym. 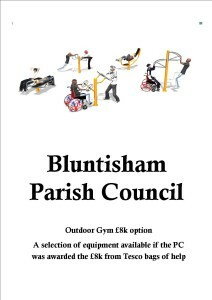 Out of the 5000 applications that Tesco received Bluntisham and the Outdoor Gym have been short listed for the East Anglian region and are now guaranteed a minimum funding contribution of £8000. Tesco has teamed up with Groundwork to launch its Bags of Help initiative in hundreds of regions across England and Wales. The scheme will see three community groups and projects in each of these regions awarded grants of £12,000, £10,000 & £8,000 – all raised from the 5p bag charge. Bags of Help offers community groups and projects in each of Tesco’s 390 regions across the UK a share of revenue generated from the 5p charge levied on single use carrier bags. The public will now vote in store from 27th February until 6th March on who should receive the £12,000, £10,000 & £8,000 awards. 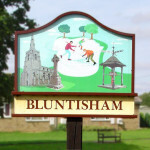 The voting for Bluntisham will be in local Tesco stores (see below) and we need everyone in the village to be behind this bid. We ask you to visit these stores and put your token in the Bluntisham slot, and to share this with all your family and friends either via word of mouth or social media. The most important thing is to get the word out as far and wide as we can and to do this we need your help. 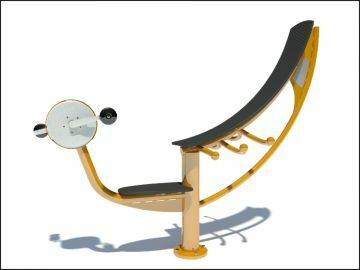 It works in the same way as the Waitrose counters and then the money £12k, £10k & £8k gets distributed across the three projects, therefore the one with the most counters gets the largest share. We will know how much we have been awarded in early April and will update everyone with the news then. 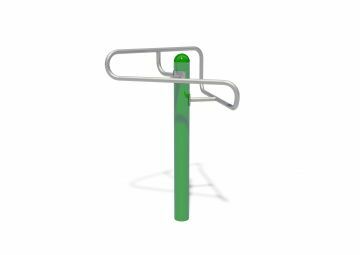 We have earmarked reserves for this project, and the Parish Council voted unanimously to apply for funding and allocate the reserves. If we were to get the £8,000 our additional contribution would be roughly £1,400 and this equates to approximately £1.85 per household. 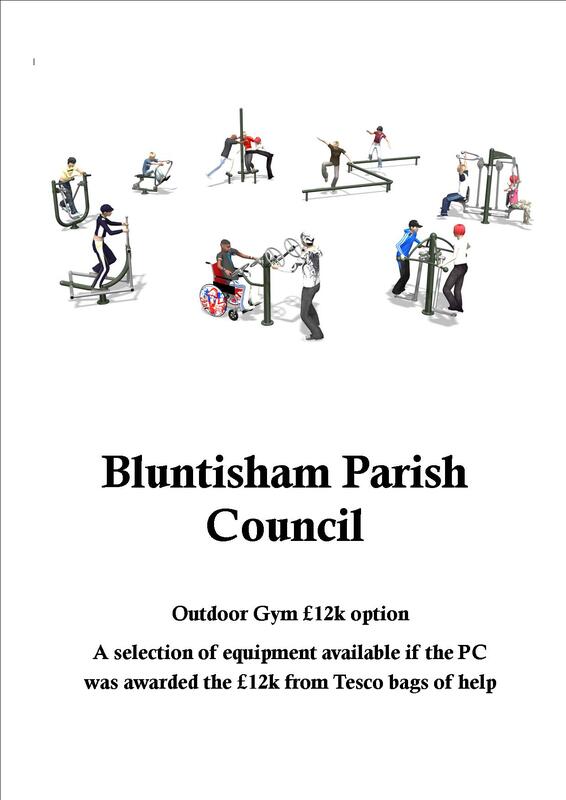 The Outdoor Gym will be located on the playing field on parish council owned land, we have carried out consultation with the village on the proposed gym and have also consulted with the authorities with regards to having the relevant permissions in place. 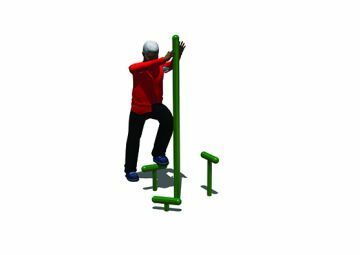 The gym will be free to be used by everyone in the village, accessible 365 days a year to all ages and abilities and we hope to have a minimum of 5-6 pieces of equipment ready for use by Summer 2016. 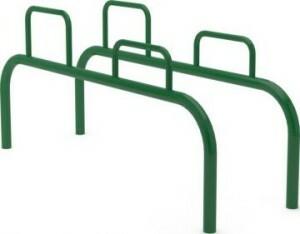 See below for a selection of equipment to be installed or visit the suppliers website www.hags-smp.co.uk/outdoor-gym-equipment-from-hags/ for more details. The latest minutes from the Hall Management Meeting are now available to read. 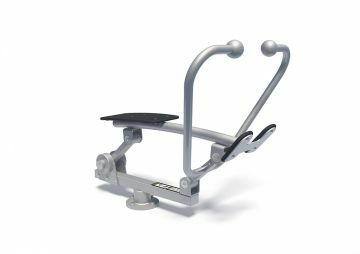 Click here and if you have any questions please do not hesitate to contact the clerk. 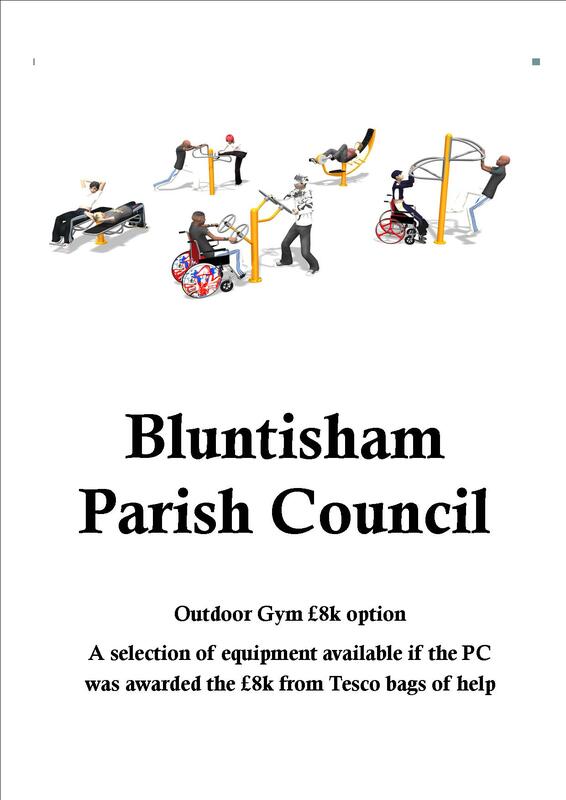 Bluntisham Parish Council now has a large 8m x 3m marquee which is available to hire for £50 for private use or free of charge for any community event in the village. It is simple to erect and can easily be put up in under an hour with 4 willing volunteers. 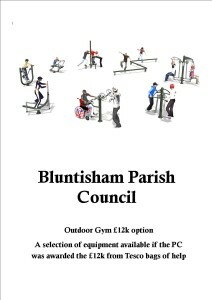 Please contact the clerk for more details or to book. Click here to view the marquee. 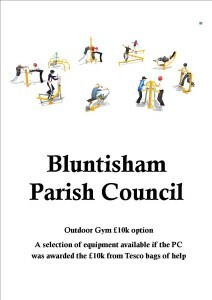 The next Hall Management Meeting is on Monday 15th February at 8pm in Bluntisham Village Hall.